Excel on Windows Phone 7. Microsoft’s smartphone deal with Nokia won’t have a huge effect on Microsoft earnings, but it does serve a very important purpose for the software giant: protecting its stronghold in business software.Microsoft charges handset makers like HTC and Samsung no more than $15 per unit for licensing Windows Phone. Nokia sold 111 million Symbian handsets in 2010. Imagine that it’s still selling as many smartphones in 2012, and that all of them are running Windows Phone 7. If so, Microsoft would get no more than $1.7 billion in annual revenue from the deal. $1.7 billion is a lot of money for most companies, but for Microsoft it barely moves the needle — the company books more than $18 billion a year from selling Windows, about $13 billion from Office, and more than $60 billion total. Subtract the money Microsoft chipped in to get the deal — hundreds of millions sounds right based on past distribution partnerships with Verizon and cable companies for other products — and this isn’t going to contribute much to Microsoft’s earnings. By way of comparison, Apple booked around $10 billion from iPhone sales just last QUARTER. ($600 per phone times 16.24 million phones sold.) And Apple earns the lion’s share of profits in the smartphone market. So why did Microsoft pursue this deal? Simple: Microsoft earns most of its money selling software to businesses, particularly large enterprises. For the last 20 years, Microsoft has been able to leverage its huge market share in PC desktop software to help it sell server software — in particular, Office works better with Microsoft back-end software like Exchange and SharePoint. But the rise of mobile devices that run non-Microsoft software threatens this strategy. Every iPad sold replaces a Windows laptop. If Android devices work well with enterprise software, IT managers may begin to consider other Google enterprise products like Gmail and Apps more favourably. Looking five or 10 years down the road, it’s not at all clear that Windows will be the dominant client in the enterprise. That’s terrifying for Microsoft. Windows Phone 7 is marketed as a consumer product — it’s got games, music, video, and apps — because consumers drive most smartphone purchases today. But it’s also got the most advanced versions of mobile Office, and it’s the only phone platform that integrates with Microsoft SharePoint Server. 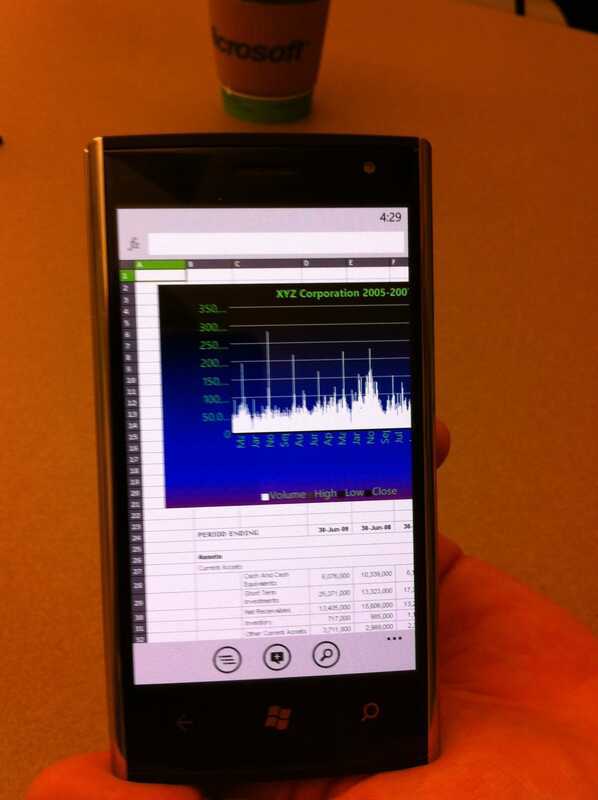 That integration between Windows Phone and Microsoft enterprise software is sure to increase over time. With Nokia, Microsoft just bought a huge distribution channel to help fight iOS and Android in the enterprise. It might not work, but Microsoft had to try.